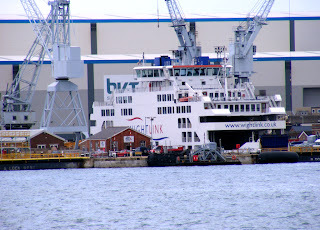 Wightlink's St Clare in Drydock No. 9, Portsmouth Harbour 09 July 2009. She was released later that day.